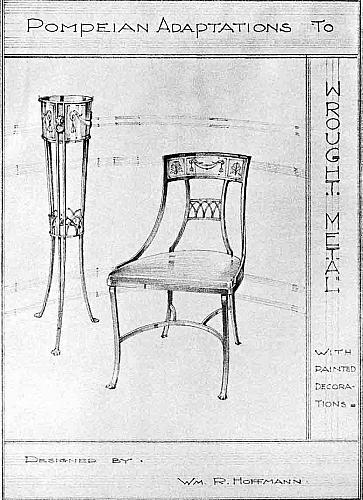 The chair and plant-stand, designed by "Bill" Hoffman, depicted in this illustration were fabricated in wrought metal with hand-painted decorations. 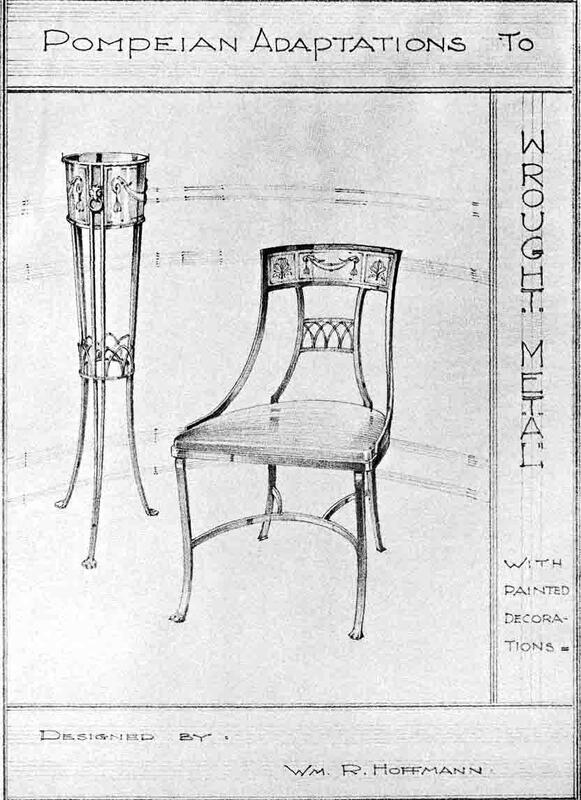 Illustration from Fine Furniture, December 1936, page 25. It accompanied an article by Hoffmann and another about his career.